We also have conference rooms of varying sizes, administrative office space, and a dedicated office for research fellows. Audiovisual recording and playback facilities and wireless internet are available in all simulation areas. The new student touchdown room is a unique space for collaboration and team meetings. Our largest conference room can seat 60 people. It has complete audiovisual capability and is fully equipped with wireless internet access, two wide flat screens and dry erase boards. The high fidelity simulation room, the 10 clinical examination rooms and the two professors’ tables in the technical skills room can also be viewed from this room. The room can host lectures and presentations as well as provide a debriefing area for a large group. We also have a second large conference room which can accommodate 45 people or can be split into two smaller rooms. 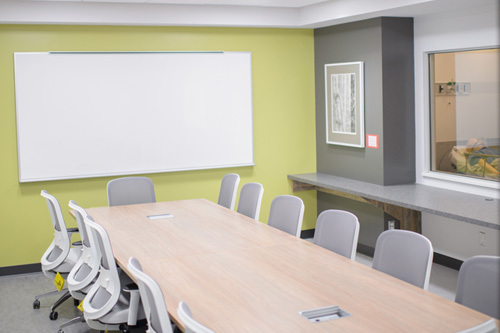 Four smaller conference rooms can each seat 14 to 16 people. These have full audiovisual capability and can be used for presentations, workshops and debriefing sessions. They can link to the high fidelity room and clinical examination rooms. 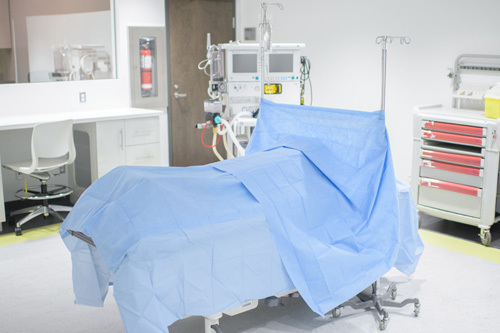 The high-fidelity simulation room offers learners the opportunity to use programmable mannequins to simulate a clinical scenario. These scenarios may be developed to demonstrate crisis resource management, clinical decision-making and team training situations. Every event can be audio and video taped for immediate play back for debriefing. 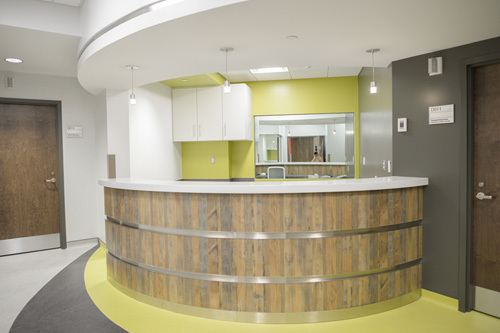 There are 10 clinical examination rooms, which can be used for encounters with standardized patients or practice with task trainers or mannequins. All of these rooms are fully equipped with oxygen, suction and basic medical equipment. 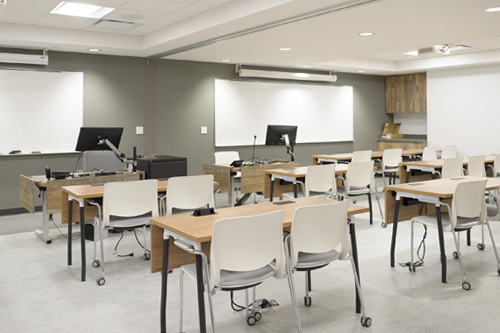 The encounters in all of these rooms can be audio and video taped for students and professors to view post encounter to enhance the learning process. The rooms can be set up as a hospital room, an emergency room area or a bed in an intensive care unit. 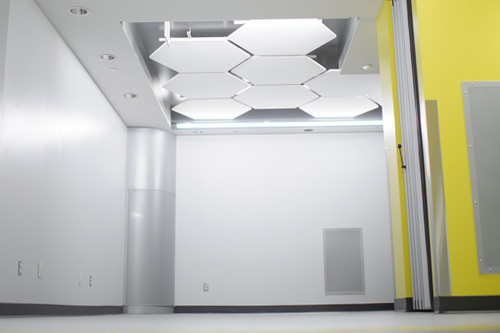 The new hi-fi operating room is ideal for OR-based scenarios and will allow for team training in interventional areas. The simulated ward recreates an entire ward space, including a nurses’ station, four patient rooms, and a control and debriefing room. 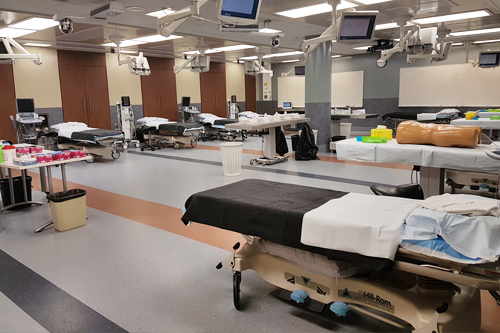 The technical skills room contains 16 mobile work stations where a full range of medical and surgical procedures can be practiced. 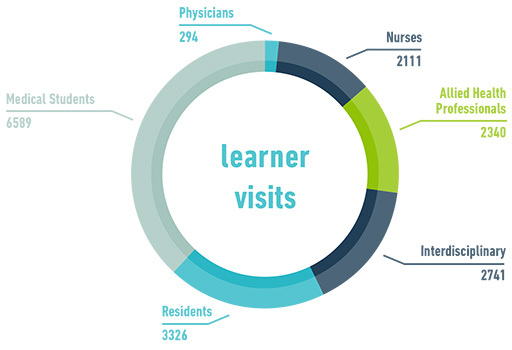 Individual monitors and service columns enable each student to work independently while watching the procedure on their monitor. The room can be divided into two smaller rooms so that two groups can use the area at the same time. 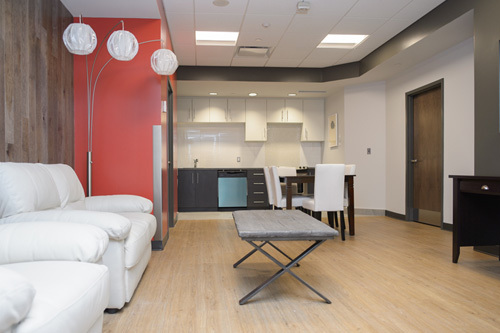 The simulated apartment is an ideal space to train clinical health care professionals and caregivers. This fully-functional home occupies 1000 square feet and includes a lounge, dining area, kitchen, bedroom and bathroom, as well as a control room to monitor and observe behind one-way glass. The apartment is fully furnished and contains all the necessary equipment to practice home care scenarios. The virtual reality room will be used to train our clinicians in a total virtual environment, an approach that will allow them to practice real cases virtually to reduce errors. We are currently working to equip this space for endovascular, endoscopic and laparoscopic procedures. 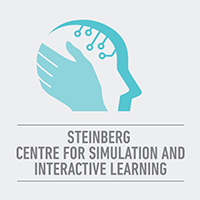 Educational activities range from teaching procedural skills on synthetic and real-tissue models to communication skills using actors for patients and inter-professional team-based skills in a high-fidelity simulated suite with computer-operated mannequins. We invite you on a VIRTUAL TOUR to learn more about our simulation and innovation facilities! This Google tour includes 360° images of 15 different rooms. You can either let the tour autoplay, or navigate through the rooms using the arrow buttons. For more information on the spaces, click the "i" information button below the room name. Please use the Google Chrome web browser for this tour.